Uneven skin tone skin has become very common Occurrence these days. There are many factors which cause uneven skin-tone most of them usually are hormonal or dietary factors. Amongst the many techniques available for enhancing the skin tone 2 very good and accepted ones are laser skin toning using fractional non ablative lasers and Nd:Yag Q SWITCHED lasers. 1)Nd:Yag Q SWITCHED LASER:- Fast treatment, 2-4 sessions usually 2-4 weeks apart, results are good and fast, there is a little bit of dryness and redness and sometimes a little puffiness of skin for a day or two, not much recovery time, very safe and effective. But expensive. 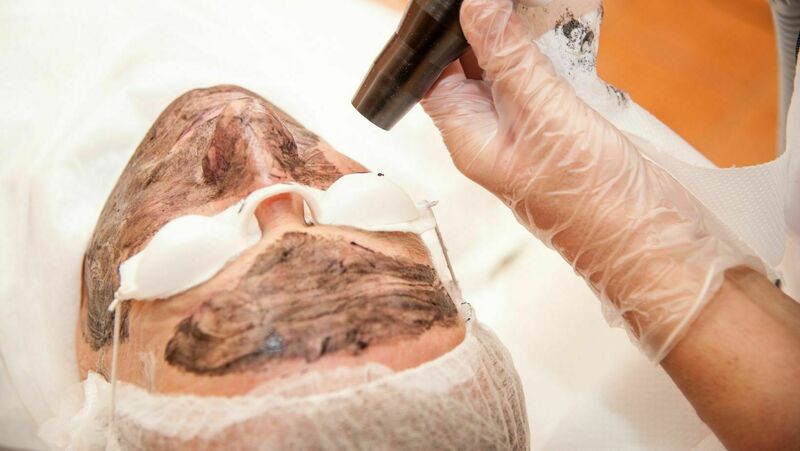 2)NON ABLATIVE FRACTIONAL LASER:- very fast to do too, but results may be slightly slower but overall improvement in skin texture and fine wrinkling is also there, so your doctor can decide and discuss whats best for you, can be combined with the above laser too. similar in number of sessions and gap and post care. It may be more costly than the Nd yag laser. 3)Exfoliating Treatments:- very mild, some types can be done at home, preferably gap of 7-20 days depending on the type of exfoliant used. There us usually no recovery time or some dryness which can be regulated most often.